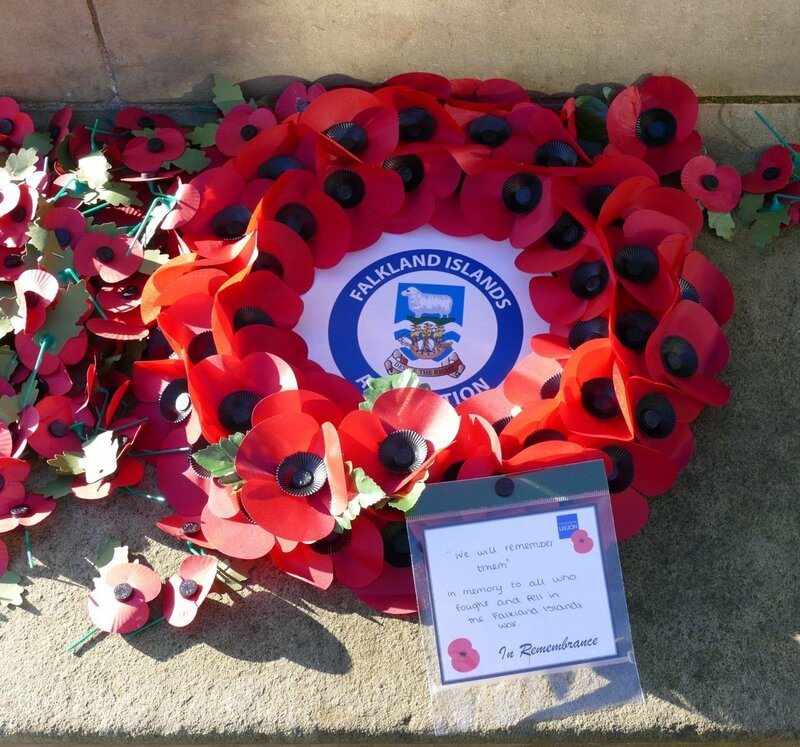 As part of the commemoration of the 35th anniversary of the Falkland Islands conflict in 1982, members of the Falkland Islands Association laid wreaths at their local war memorials in honour of all those who lost their lives or were injured in protecting the Falkland Islands from Argentine aggression. 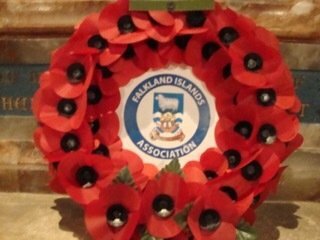 Today, the role of the Falkland Island Islands Association to "assist the people of the Falkland Islands to decide their own future for themselves in accordance with their own wishes”. That means we are here to support the Falkland Islanders’ right to self-determination by maintaining a membership base of people who love the Falklands and who are prepared to raise their voices whenever that right comes under threat and from whatever quarter. 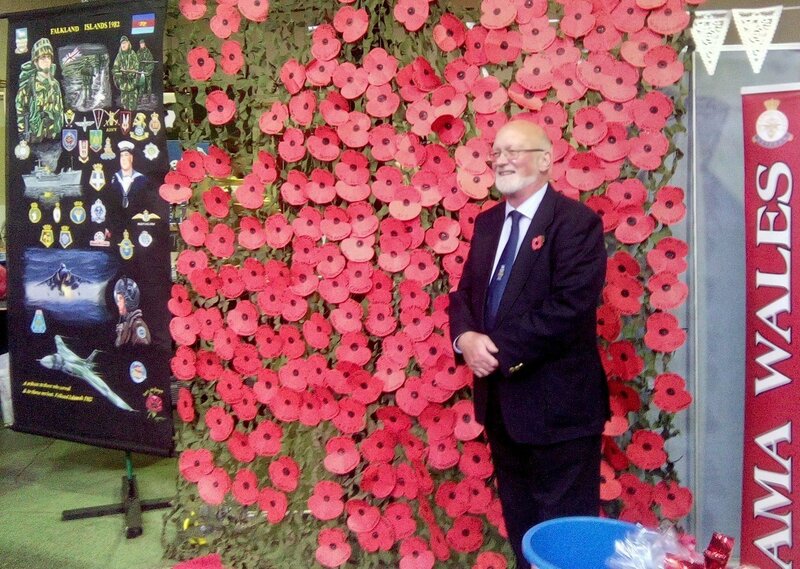 Alan Huckle, FIA Chairman, attended the start of the Poppy Appeal in Brecon, Wales on 30 October organised by the Brecon Branch of the Royal British Legion with the support of SAMA 82. 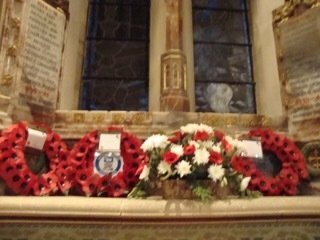 Alan also laid wreaths on behalf of the FIA at Old Radnor, Powys and In Kington, Herefordshire. 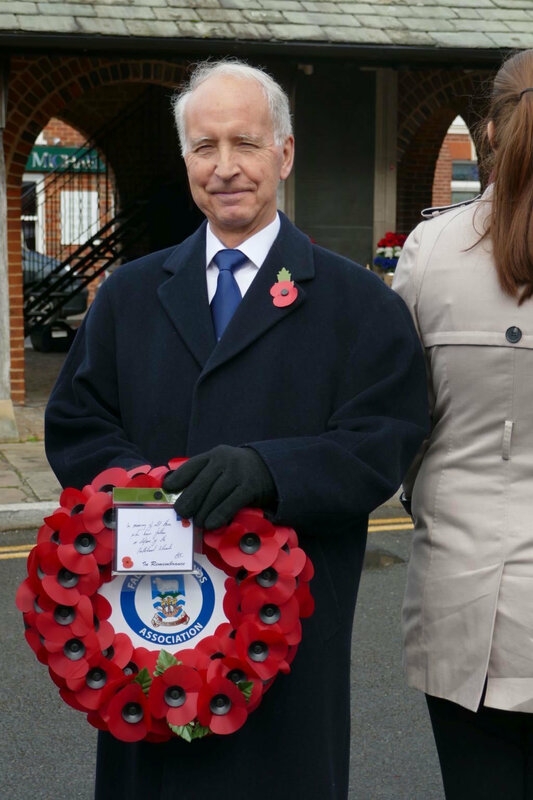 FIA Executive Committee Member, Peter Johnson, also laid a wreath In Princes Risborough, Buckinghamshire, on behalf of the Association. 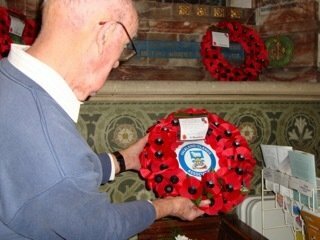 Another Falkland Islands Association wreath was laid by Mr Ralph Wilson in St Peter's Church, Hartshead, West Yorkshire; this was reported in the Spenborough Guardian. 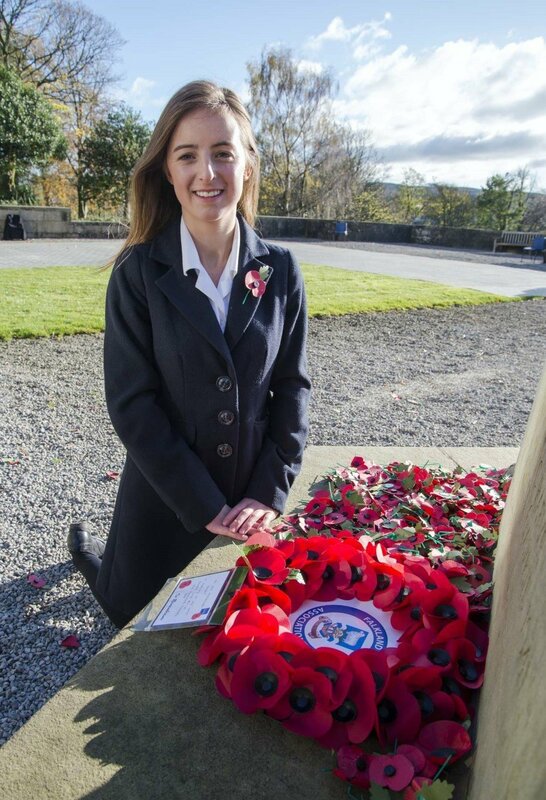 Sally Bennett is the daughter of the current CBF, Brigadier Baz Bennett, and attends Sedbergh School in Cumbria. 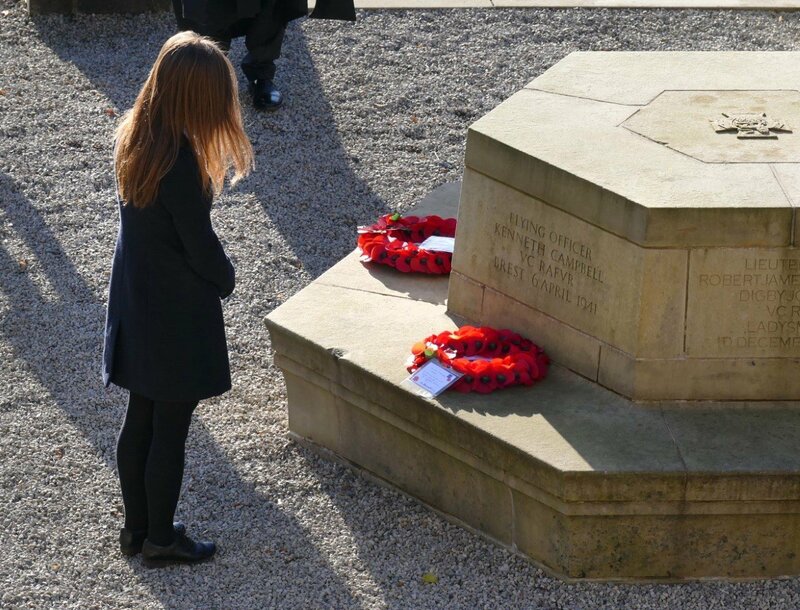 At their Remembrance Sunday service she laid a wreath on behalf of the FIA. 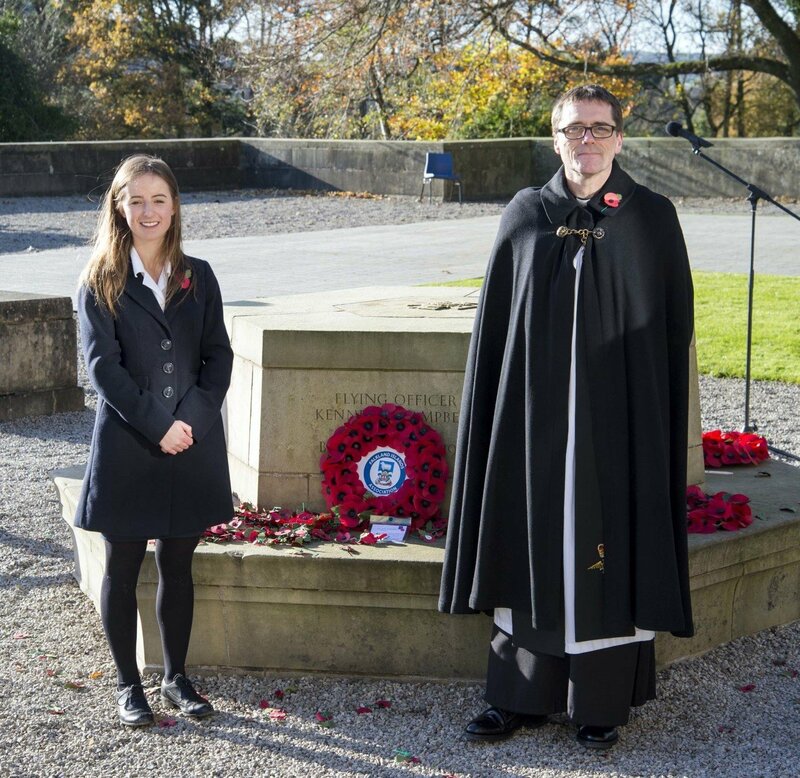 The Chaplain of Sedbergh is a previous Rector of the Falkland Islands, Paul Sweeting, and Sally laid the wreath at his invitation. During the week leading up to the service he spoke to the School in an assembly about the conflict in the Islands in 1982 and the impact on peoples’ lives. 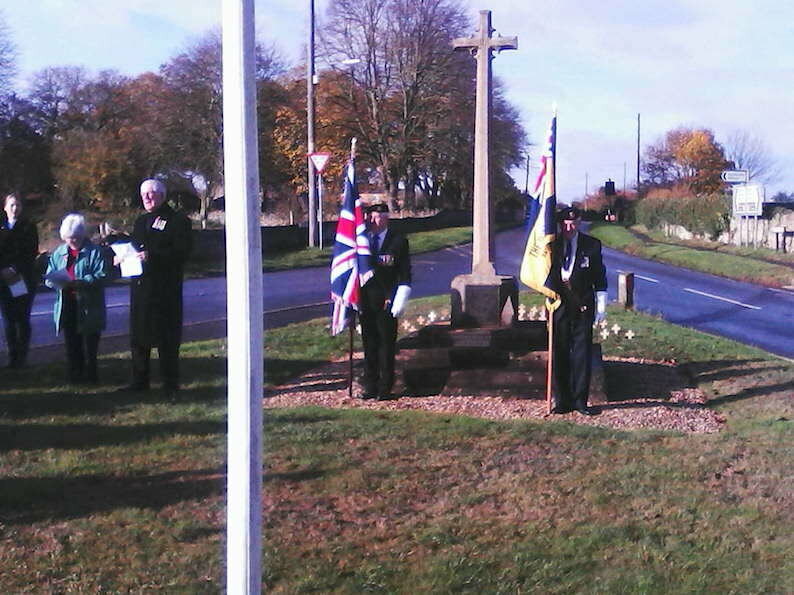 On Remembrance Sunday St Mary The Virgin, Greenham held its annual service. 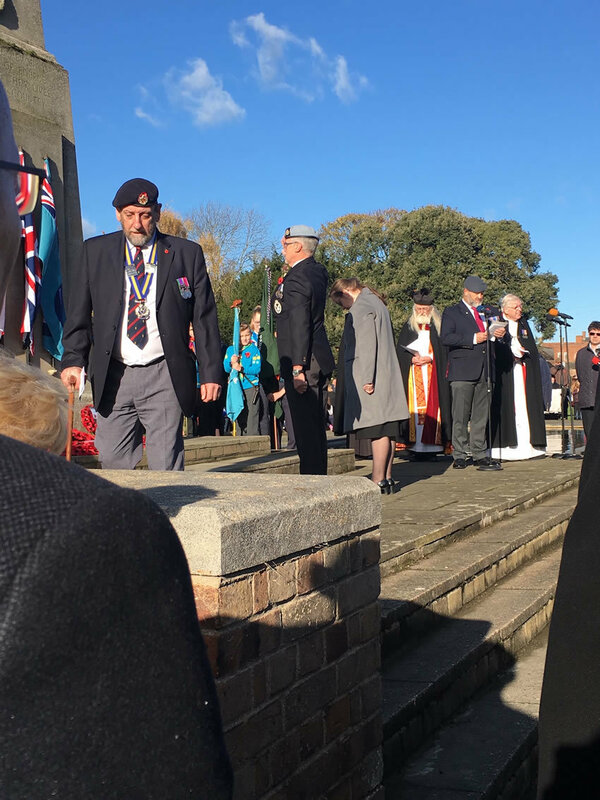 By kind permission of Reverend David McLeod, John Hatchman, a descendant of the Falklands, laid a wreath on behalf of the Falkland Islands Association to mark the 35th Anniversary of the Falklands Conflict. 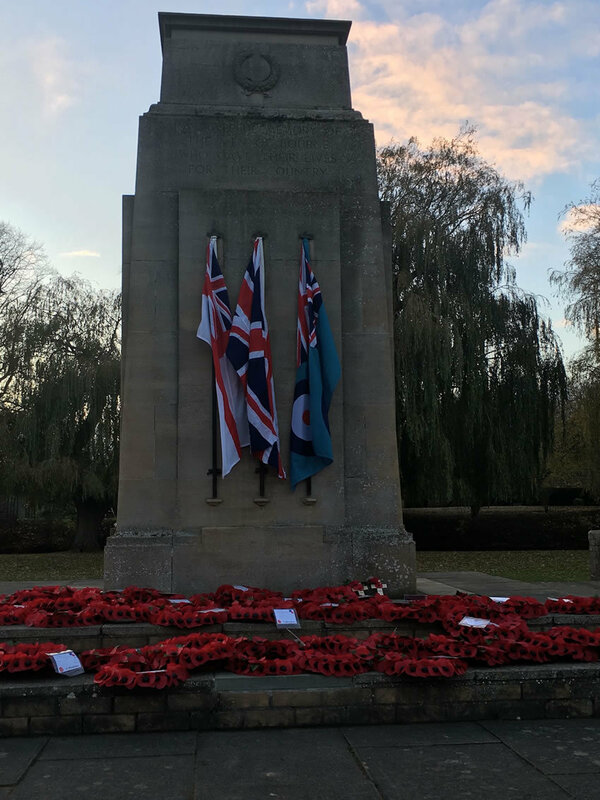 In Leamington Spa, Veteran David Vaughan, laid a wreath on behalf of the Falkland Islands Association at the War Memorial. 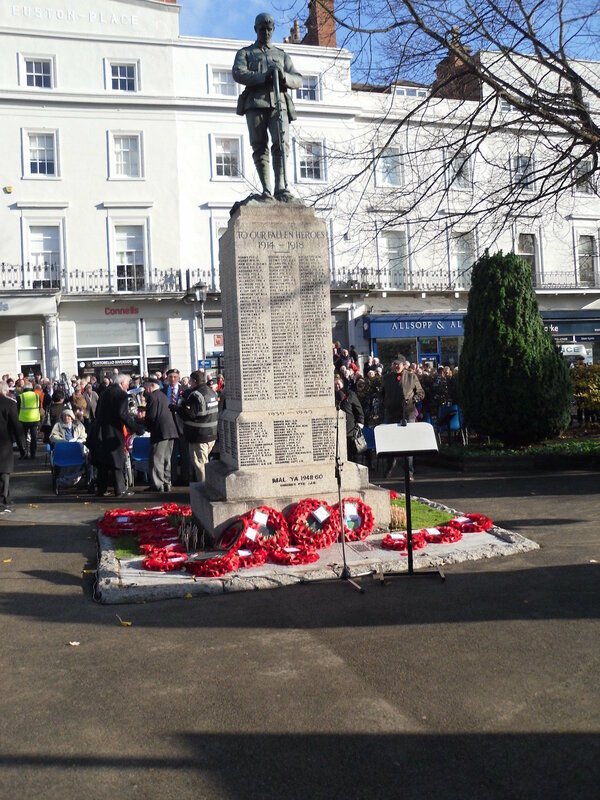 At Exeter Cathedral Memorial, Devon, Michael Clapp laid a wreath on behalf of the Falkland Islands Association. 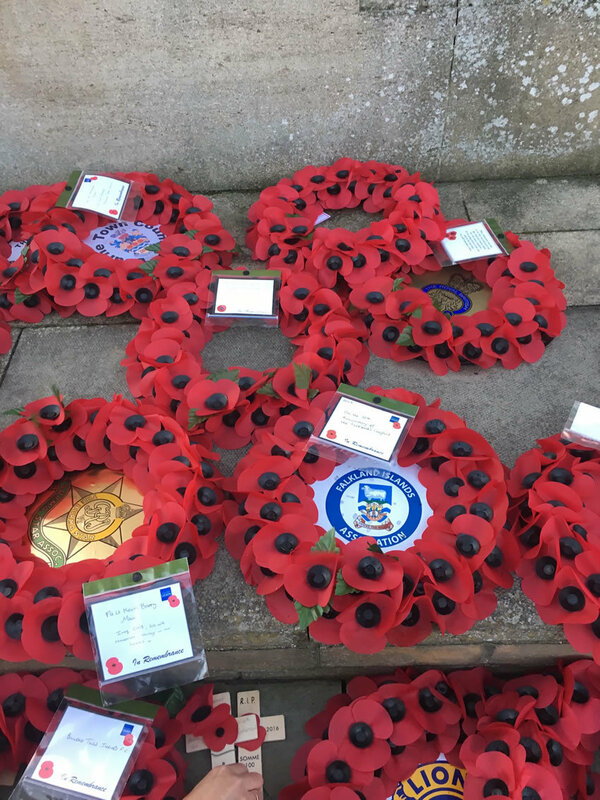 An FIA poppy wreath was laid by Rosemary and Frank Grave at the war memorial in the grounds of St Michael and All Angels Church in Salwarpe, Worcestershire on Remembrance Sunday. Frank Grave (aged 89) and Rosemary (aged 87) were married in Christ Church Cathedral, Stanley in 1954. 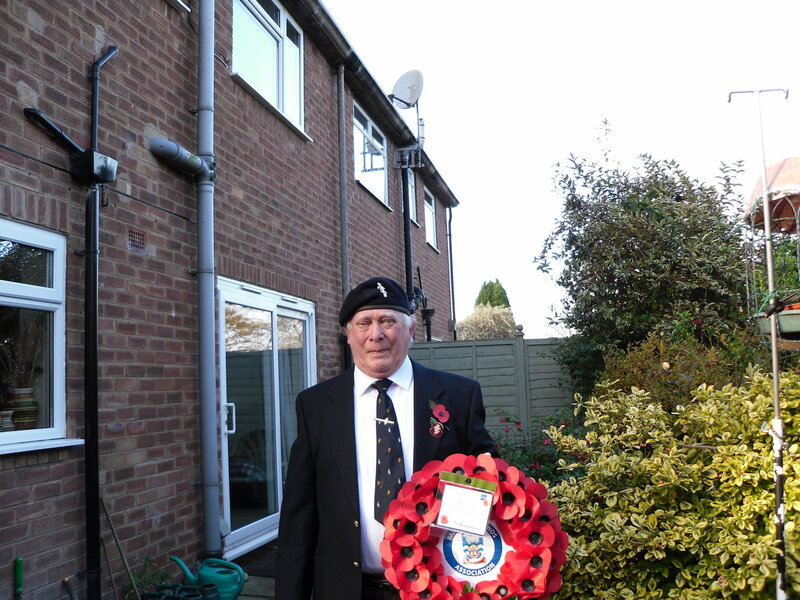 Frank had been a ship's surgeon and later became Government Medical Officer in the Falkland Islands. 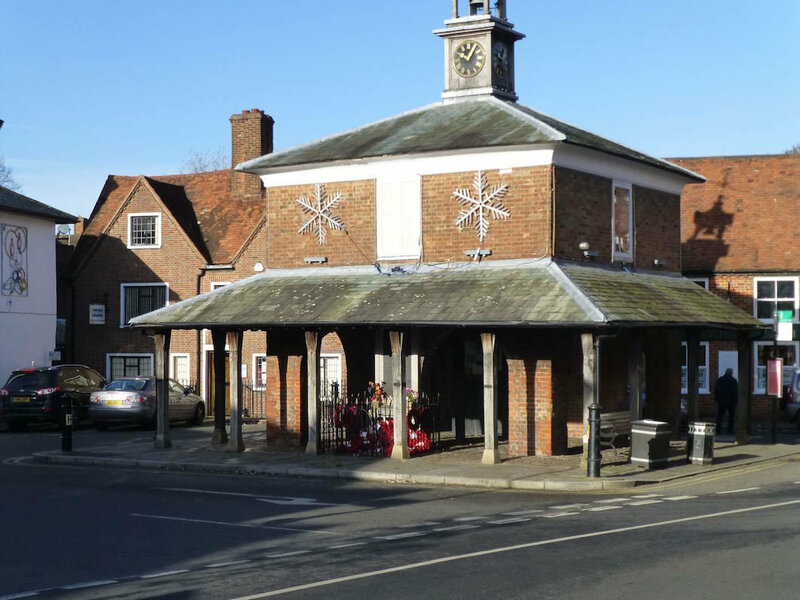 Rosemary (nee Gurd) was Personal Secretary to Sir Miles Clifford (Governor of the Falkland Islands 1946 - 54) and then to Sir (Oswald) Raynor Arthur (Governor 1954 - 57). She then became a member of the Falkland Islands Dependencies Survey (FIDS), which later became the British Antarctic Survey (in 1962). 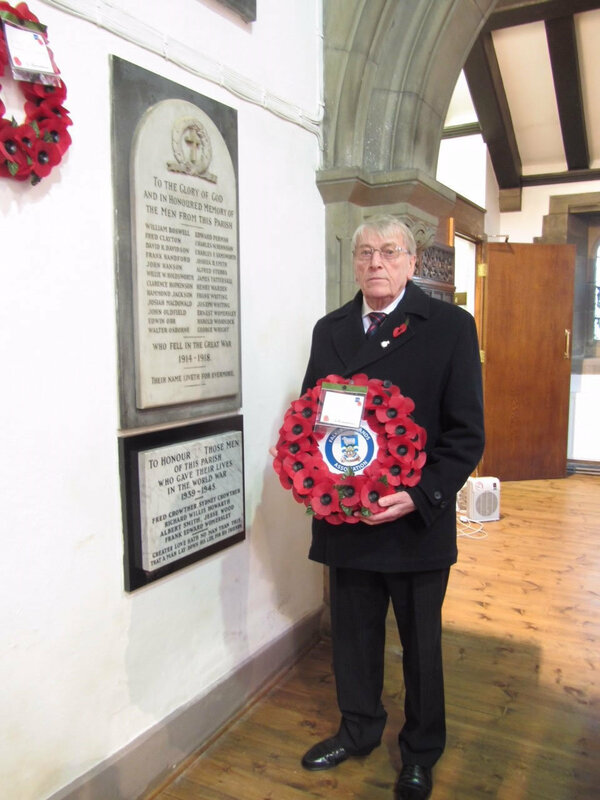 Their long association with the Falkland Islands was captured in an article in the Bromsgrove Standard. 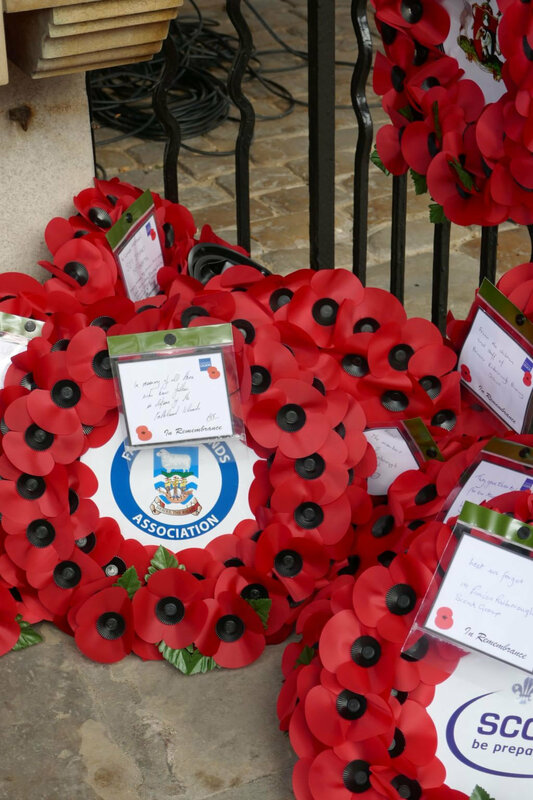 In Peterborough a wreath was laid by Mrs Doreen Roberts, Deputy Mayoress on behalf of the FIA. 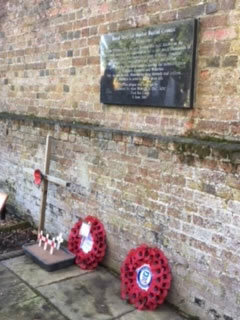 There was also a wreath laid at the Barnack Memorial, where Lt Cmdr John Eyton-Jones was added to the Memorial after the 1982 Conflict. 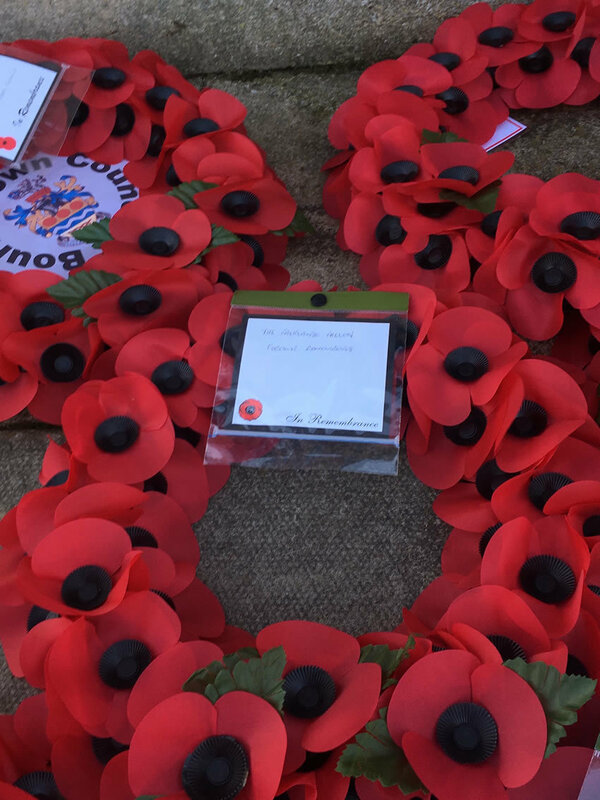 In Bourne a wreath was laid by Tamsin Cunningham, a member of the Falkland Islands Association Executive Committee who is a Falkland Islander; she was accompanied by a Falklands Veteran.